It doesn't seem that long ago that I was left in a state of awe after playing La Resistance's preview version of Crownland (as featured back in the debut issue of RGCD). I remember having doubts as to whether or not a full version would ever be forthcoming (a Google search will reveal that information on the project is scarce and at the time of writing it's not even mentioned on the developer's web site), but here we have it - a copy of the final(?) 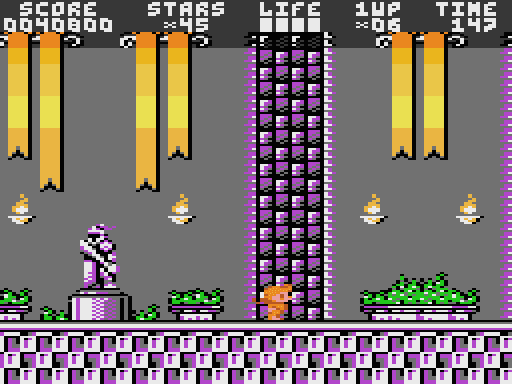 build of the game as entered in the 2007 ABBUC SW Competition. 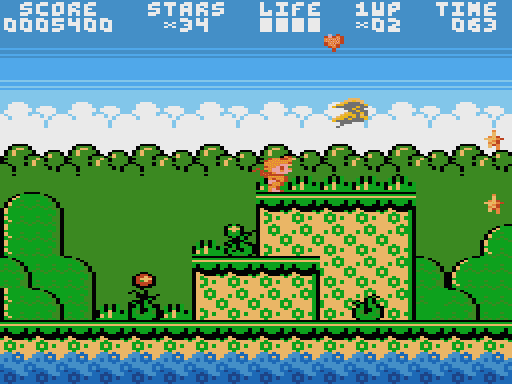 In a nutshell, Crownland is a slickly produced Mario-style run 'n' jump game for the 8-Bit Atari - and I'm excited to say that it's massive improvement over the already excellent preview. 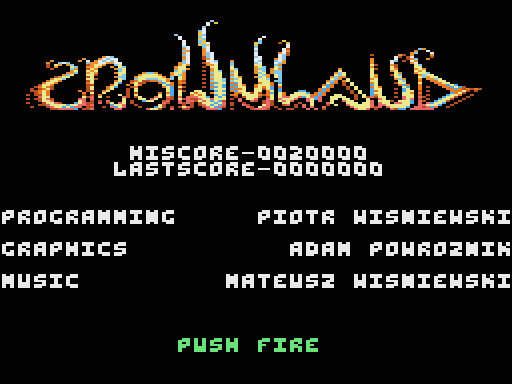 In fact I'd be as bold as to say that Crownland is the machine's best platform game to date - with it's superb visuals and fast-paced console quality game-play it's almost worthy of being described as the Atari equivalent of Mayhem in Monsterland. 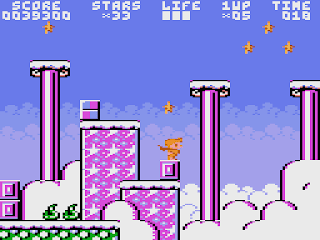 All of the issues that I had with the original demo have been addressed; the controls feel a lot tighter, the temporary soundtrack has been replaced by a more suitable score - and most importantly - the preview's initial rock-hard difficulty has been fixed thanks to a considerably fairer learning curve; the game's early levels no longer confront the player with frustrating leaps of faith and platforms that you can only reach by launching yourself off a precisely timed enemy kill. In addition to these improvements there are also a greater variety of nasties to squish and bonus pick-ups to collect, and thankfully our hero now has four health-points per life (so accidentally touching an enemy no longer results in instant death). 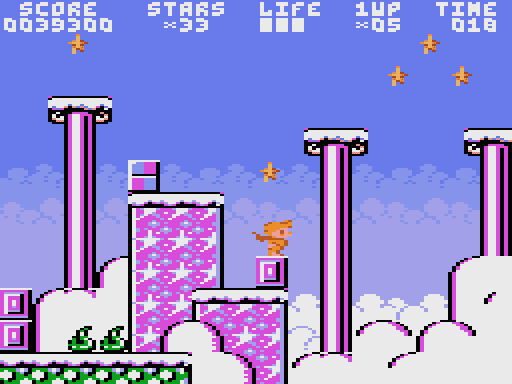 However, Crownland's top quality run 'n' jump platform action comes at a price; the game requires 128KB of RAM to play, meaning that you won't be able to run it on an unexpanded Atari XE/XL (which drastically reduces the number of people able to experience the game on real hardware due to the rarity of XE130s and sufficiently upgraded machines). 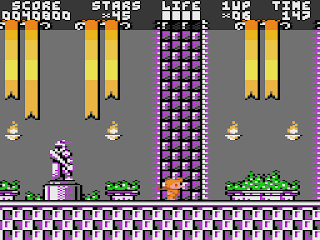 But then, when you see the game in action (via emulation or on a real Atari) it's clear that La Resistance have put every byte of the necessary extra memory to good use; chunky low resolution graphics aside, Crownland's silky smooth horizontal scrolling and top-quality chip music puts many similar games on the 16-Bit ST range of machines to shame. I have to admit that I was initially surprised when I discovered that Crownland only achieved 2nd place in the ABBUC SW Competition, but then I suppose that Yoomp! deservedly received it's accolade for being both considerably more innovative and supporting a greater range of Atari computers. Crownland may not be original in concept, but there's no arguing the fact that La Resistance have worked wonders to create such an excellent game. And that's not all; according to T.M.R (RGCD's man in the know) there's apparently a proposed deluxe/expanded version in the works (perhaps explaining the lack of an official launch via their website) - although to be honest I'm not really sure how La Resistance can improve on what is already an absolutely fantastic 8-Bit release. Cheers for that GGN, I'll check out that emulator and update my links if it is better than the old (and outdated) A800Win Plus 4.